It’s rare that you can drink alone and not feel like an alcoholic but as of right now I am experiencing one of those rare moments. Less then an hour ago faithful Whole Ball of Wax reader and all round great guy Jared Keeso won the Gemini Award for his outstanding performance as Don Cherry in Keep Your Head Up Kids: The Don Cherry Story. 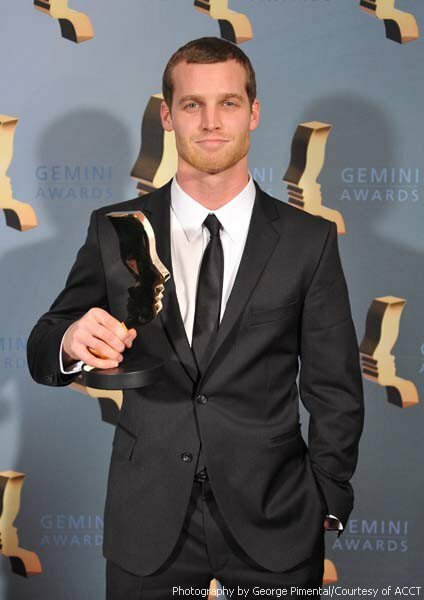 In addition, Benjamin Arthur (who is also an all round great guy) won the Gemini for his role in the T.V. show Less Than Kind. Due to this great news, I am going to proceed to drink until I fall asleep on the couch and spill my beer on my crotch. By no means do I have an acute knowledge of the Canadian film industry, but I have spent enough time with these two individuals to recognize and appreciate the amount of effort and commitment that goes into being an actor in Canada. Not always the most glamorous of lifestyles, both Jared and Ben have made substantial sacrifices as they continuously strive to perfect their art. The nature of the Canadian film industry probably means that the last minute notice for auditions won’t stop for either of these guys but tonight they can take solace in the fact that they are among the best at what they do in the entire country. There are very few Canadians that can say they are the best in Canada at what they do and because of this rarity The Whole Ball of Wax wishes to congratulate both Jared and Ben for their truly outstanding accomplishments tonight. I’m sure you all know that the month of November no longer exists and that it has been replaced by the month of Movember. For those that are unfamiliar with Movember let me clarify that the month formally known as November is a month dedicated to growing a mustache as a means of creating awareness and funds for men’s health issues (particularly prostate cancer). The great mustache growing campaign began as a grassroots movement in Australia in the early 2000s with just 30 Mo Bros participating and has since spread worldwide accumulating almost 700,000 Mo Bros and Mo Sistas. I’ve grown many beards and mos (Australian slang for mustache) for pleasure in my day but have never grown a mo for a cause. As this is my first Movember campaign, I encourage all able Bros and Sistas with a little French in them to neglect their upper lips for the month and see if we can’t drum up some awareness and funds for men’s health issues in Canada. I will post a picture of my upper lip follicles in action everyday for all readers to see the Tom Selleck in me. 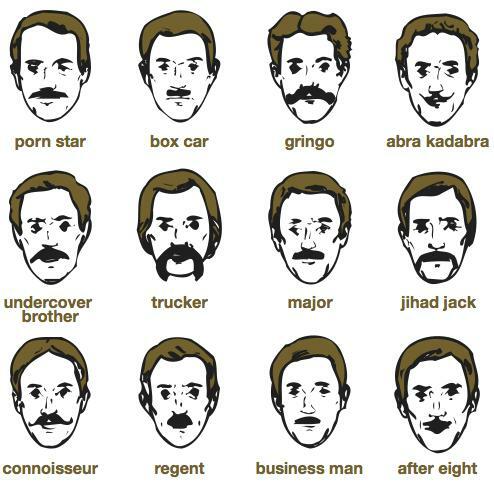 You will be able to check my daily mo progress by clicking on the Movember topic in the side bar. Should anyway have some spare change to donate after a very busy fundraising October and desire to donate to the Movember cause, you can donate to me or my team by clicking on the link below and typing either my name or my team’s name (edustache) in the Search Box. Remember, with great mustache comes great responsibility so lets all do our part.